A San Francisco-based collective of artists and architects working from 1968 to 1978, Ant Farm’s activity was distinctly interdisciplinary—combining architecture, performance, media, happenings, sculpture, and graphic design. With works that functioned as art, social critique, and pop anthropology, Ant Farm tore into the cultural fabric of post-World War II, Vietnam-era America and became one of the first groups to address television’s pervasive presence in everyday life. 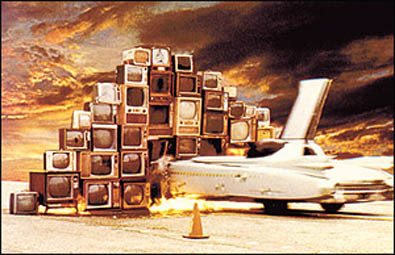 As graphic artists, Ant Farm contributed to numerous underground publications, including Radical Software, and designed Michael Shamberg’s Guerrilla Television (1971). Ant Farm members included Chip Lord, Doug Michels, Hudson Marquez, and Curtis Schreier. T.R. Uthco was a multi-media performance art collective that engaged in satirical critiques of mass media images and cultural myths, using irony, theatricality, and spectacle as its primary strategies. Founded by Doug Hall, Diane Andrews Hall, and Jody Procter in 1970. 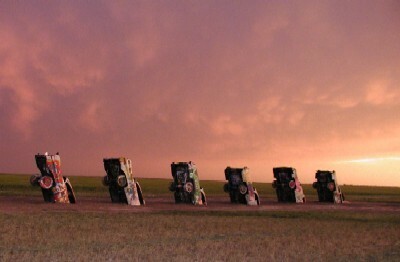 Reach the Cadillac Ranch website by CLICKING HERE. 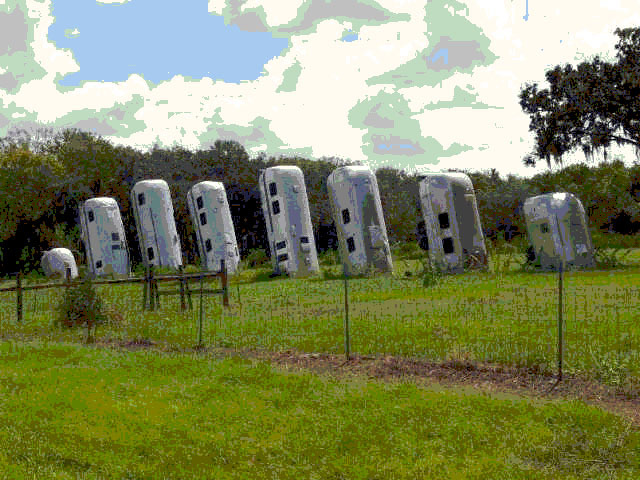 Just west of Plant City, Florida, on I-4 near the bustling metropolis of Thanotosassa is this incarnation of the same theme photographed by Bill.